For nearly three years, war had torn Europe apart. The German-led Central powers and the Allied powers, led by Great Britain and France, had fought one another with horrific new weapons: air attacks, machine guns, and poison gas. Hundreds of thousands had died, but the war seemed to have no end in sight. It was now the spring of 1917, however, and the United States had joined the fight. 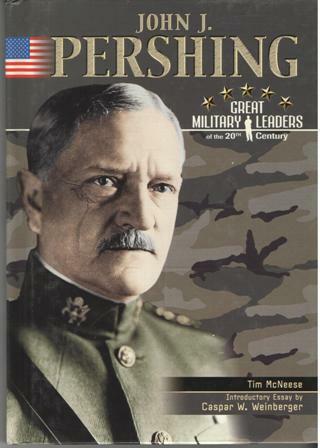 A general with more than 30 years’ experience was coming to lead the American forces—John J. Pershing. The trim, stiff-backed, 56-year-old Pershing was the model of military efficiency. He had fought in Cuba and the Philippines, and had tracked gunman Pancho Villa across Mexican deserts. Pershing knew that the coming challenges would be the greatest of his already colorful and dramatic career.